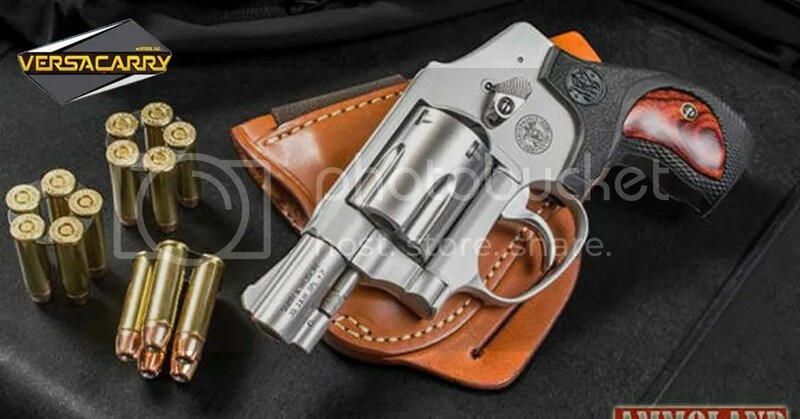 Springfield, MA -(AmmoLand.com)- The Smith & Wesson Model 642 Airweight, one of the company’s most popular self-defense revolvers, is now available in a special edition offered exclusively through thePerformance Center and TALO Distributors Inc. Manufactured by the skilled hands of Smith & Wesson master gunsmiths, the new TALO exclusive J-Frame revolver offers an easy-to-carry personal protection package with enhanced features available only through the legendary Performance Center. Chambered for five rounds of .38 S&W Special +P, the Model 642 is an ideal personal protection handgun with its lightweight aluminum alloy frame and durable stainless steel cylinder. The hammerless J-Frame model has been elevated by the Performance Center with a hand-tuned action that gives the revolver its renowned smooth double-action trigger pull. Additional Performance Center upgrades include a chrome-plated, polished trigger and high bright, polished cylinder flutes, side plate screws and thumbpiece. The Model 642 is easily concealed with its 1.875-inch barrel design that contributes to an overall length of 6.31 inches. With an unloaded weight of 15 ounces, the revolver fits comfortably in the hand and is fitted with a set of custom, synthetic grips with wood inserts. These functional yet stylish grips bring an added degree of sophistication to this classic revolver. The Model 642 is standard with an integral front sight and a fixed rear sight for added durability. The double action only revolver also features a matte silver, two-tone finish and is standard with the Smith & Wesson lifetime service policy. For more information on the new TALO Exclusive Performance Center Model 642 revolver, please visit www.smith-wesson.com. Join Our Newsletter and Receive 10% OFF Your First Order! Discount not applicable on new products. © Versacarry® All Rights Reserved. What can I help you with today?